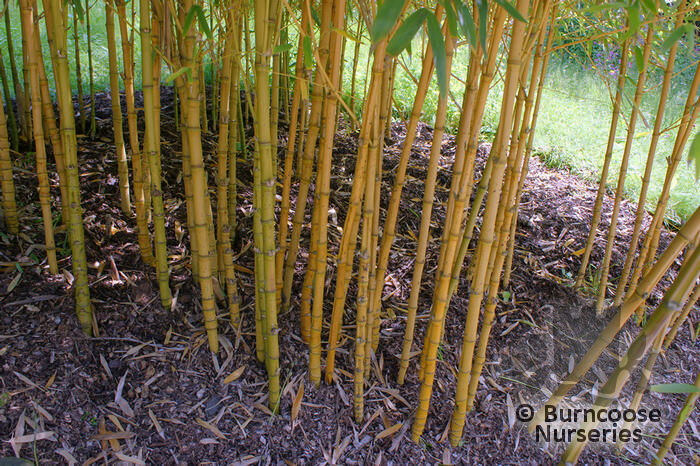 Bamboo, a sub family of the grass family is found mainly in warm and moist tropical and warm temperate climates. 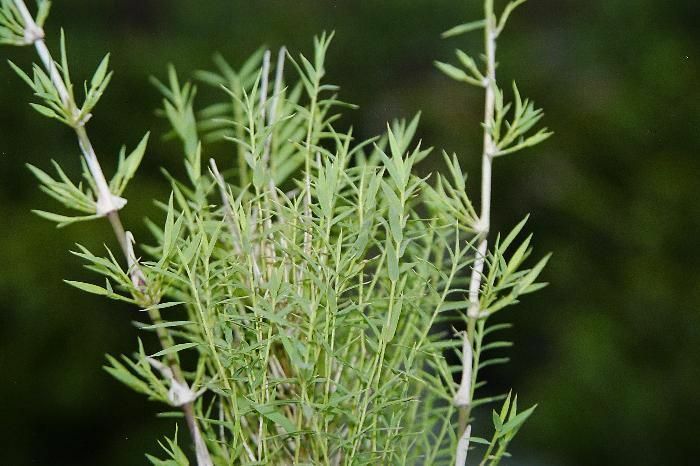 It contains some of the fastest-growing plants on Earth, 36ins in 24 hours, though growth in temperate regions is more like 3-10cms (1.2-3.9ins) per day. 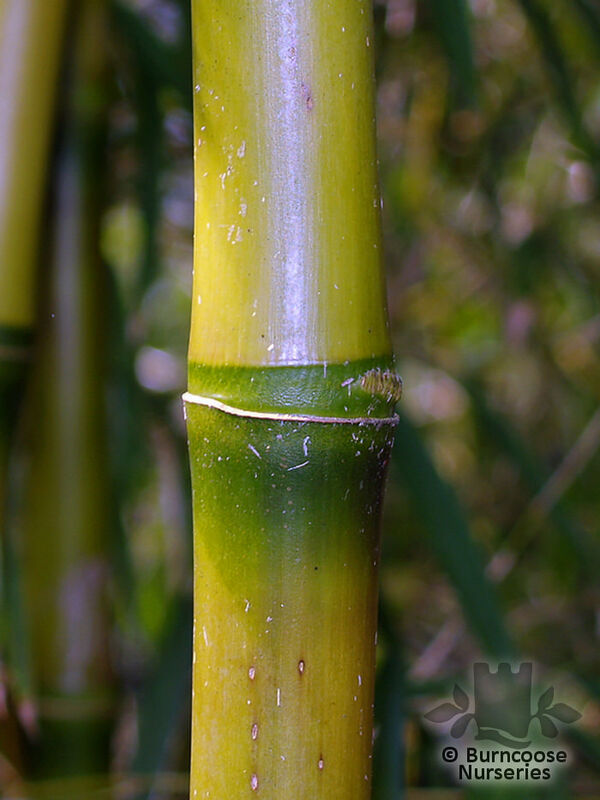 Unlike all trees, individual bamboo culms emerge at their full diameter and grow to their full height in a single growing season of 3-4 months. 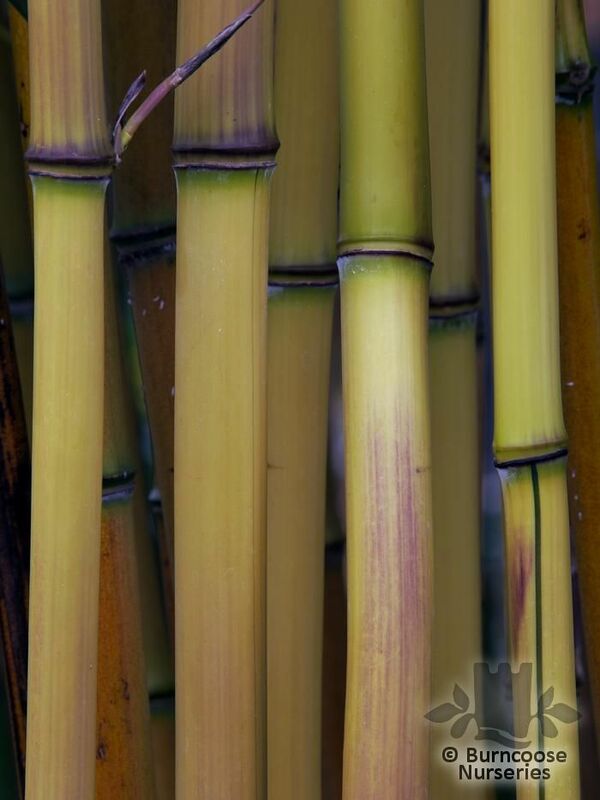 As the clump matures thicker and taller culms emerge each year until the plant reaches its characteristic limit. 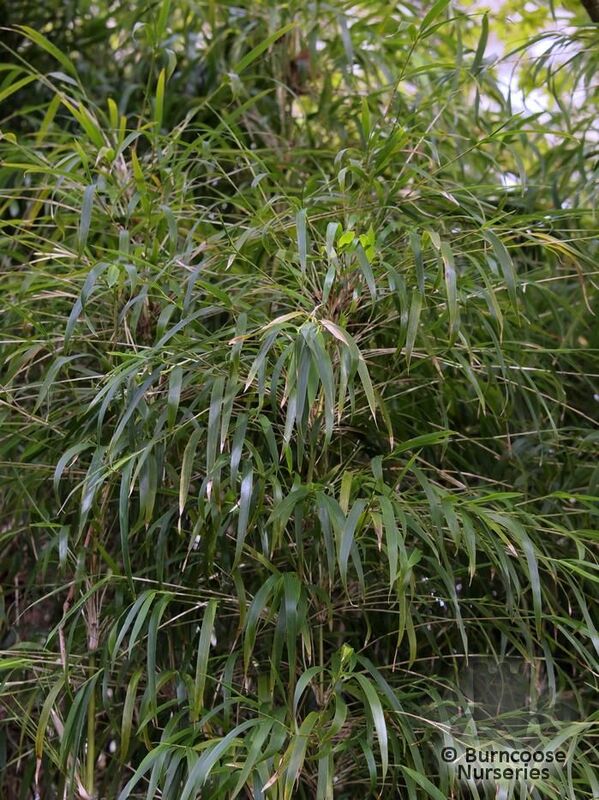 Most bamboo species flower infrequently, at intervals as long as 60 or 120 years, These exhibit mass (or gregarious) flowering and any plant derived from the same stock will flower wherever it is located. 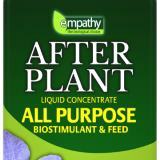 After flowering the plant dies. 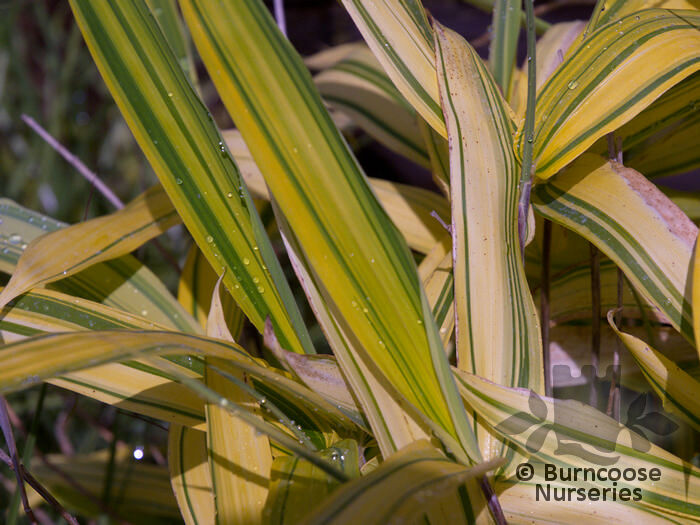 Partial shade - requires a sheltered location. 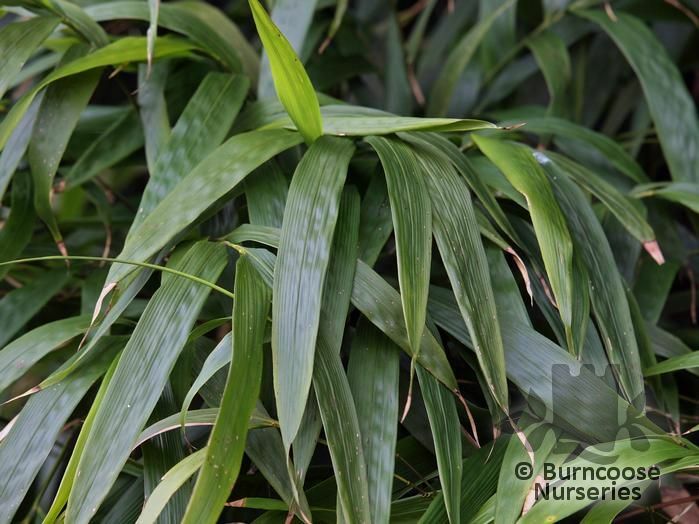 Additional Features	- Good to know - highly symbolic plants from China and Japanese courtyard and temple gardens. 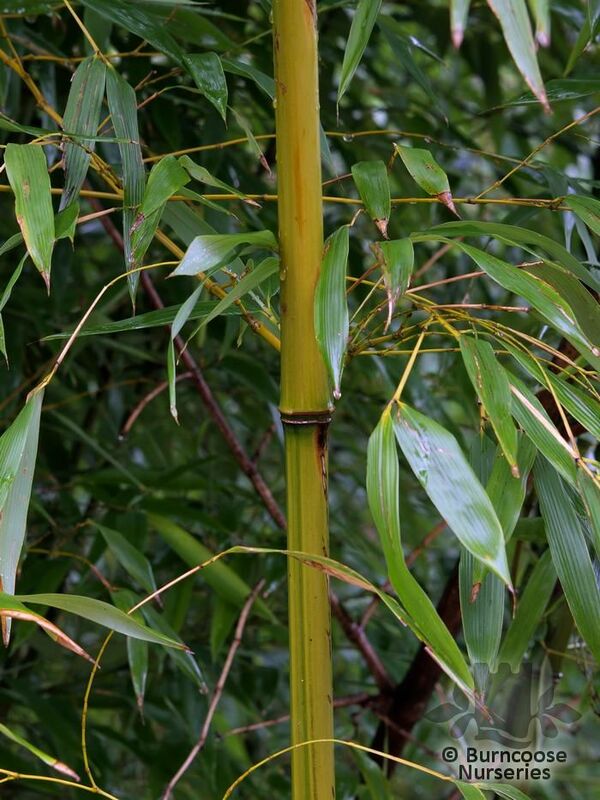 Bamboo symbolises vigour and the canes, forest. 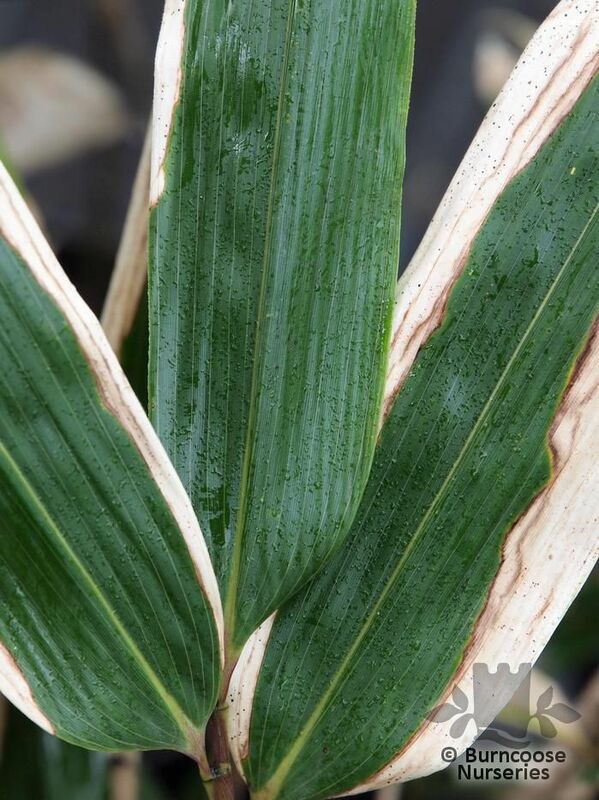 The texture of canes, leaf striations, attractive new growth (culms) and the sound and movement in wind all add to its attraction. 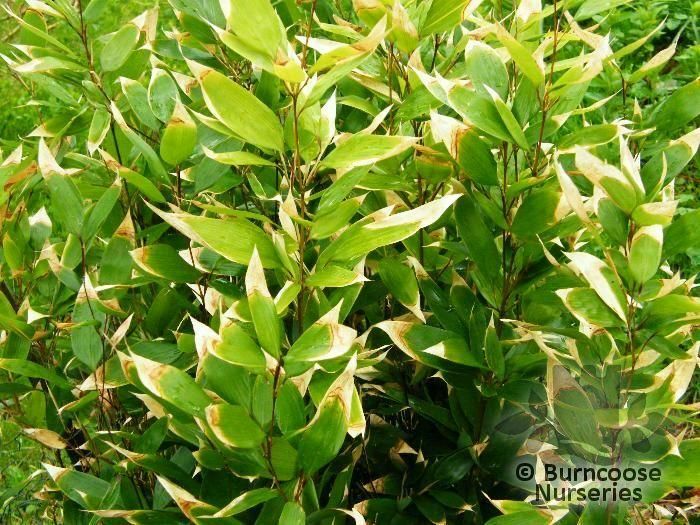 Pests & Diseases - emerging shoots are vulnerable to slugs. Place of origin - tropical and sub-tropical Asia, tropical America, Africa and northern Australia. 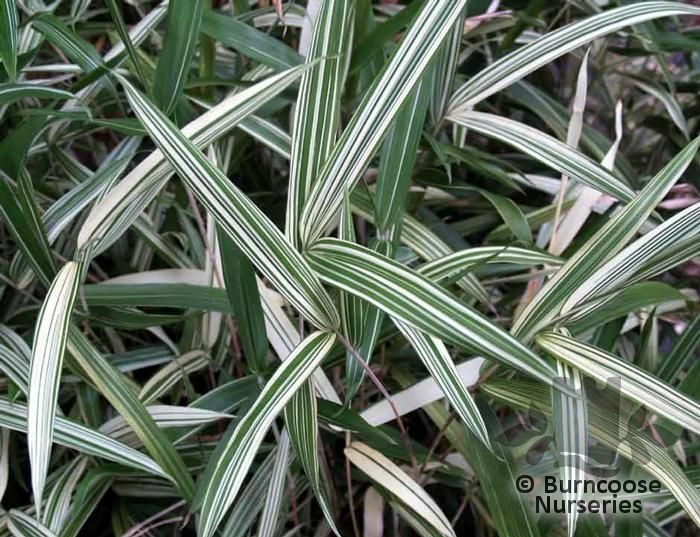 Greenhouse / conservatory - Not the sort of plants to be grown outside where there are likely to be frosts. 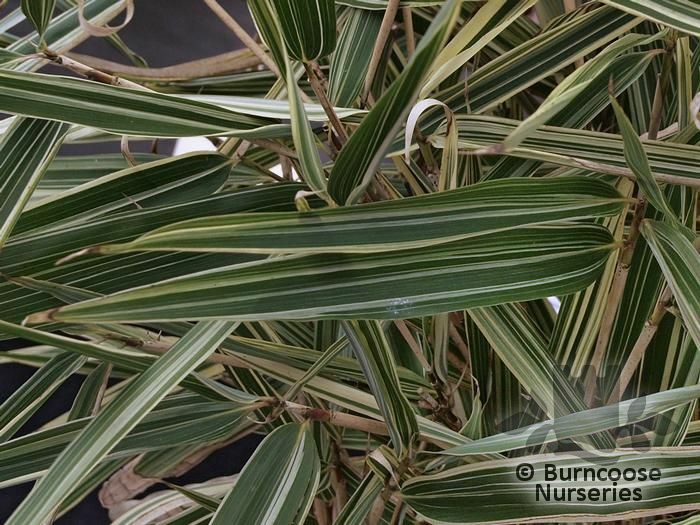 These plants need to be grown in a conservatory or cool greenhouse or at least brought inside for the winter - in frost-prone climates grow in a temperate greenhouse. 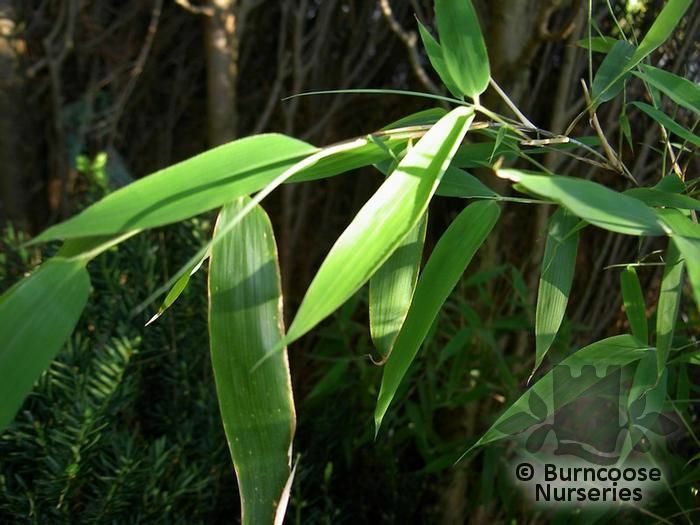 Commonly known as: Square-stemmed bamboo. 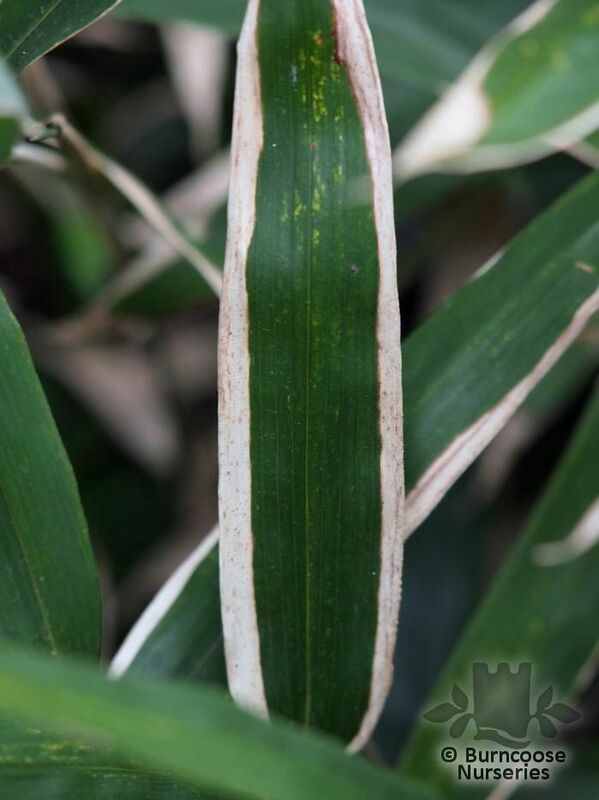 Commonly known as: Walking stick bamboo. 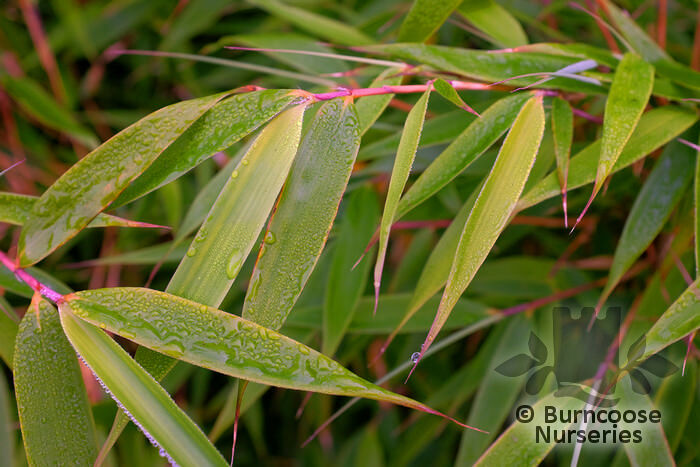 Commonly known as: Umbrella bamboo. 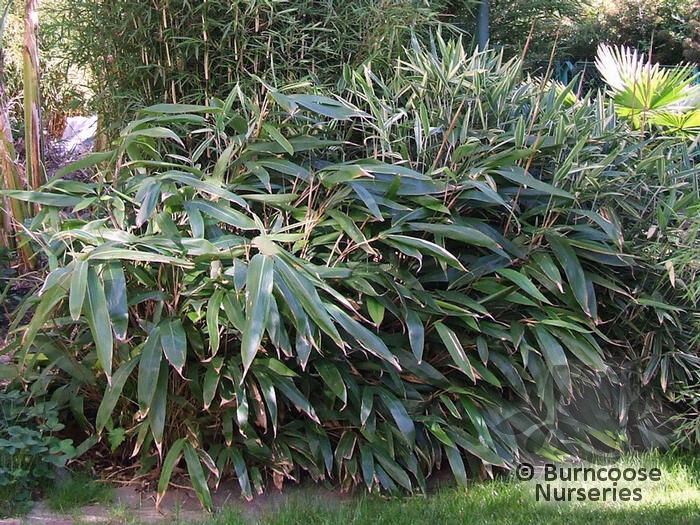 Commonly known as: Fountain bamboo. 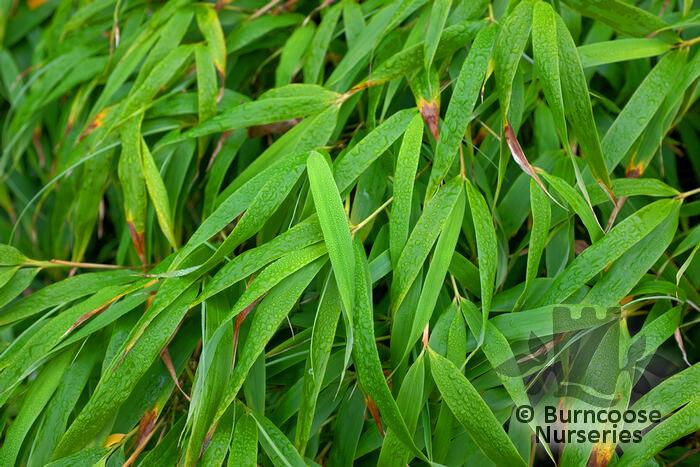 Commonly known as: Large-leaved bamboo. 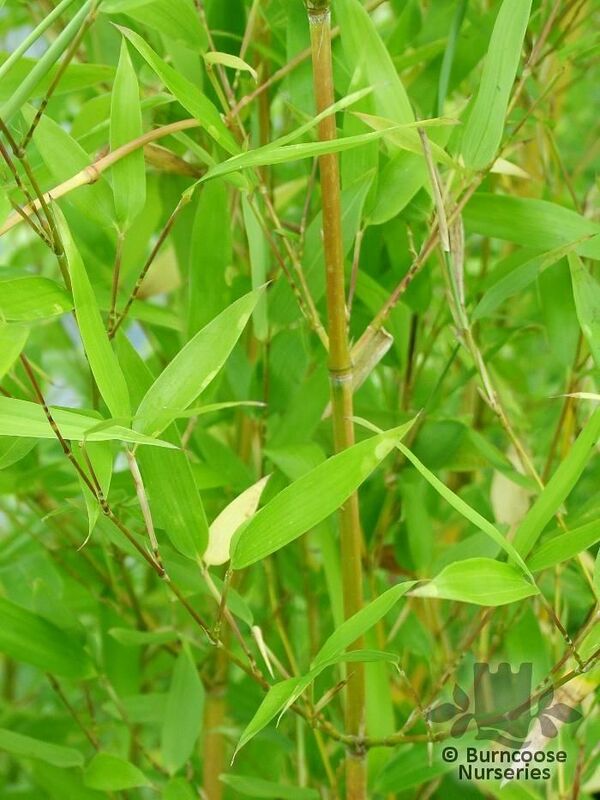 Commonly known as: Fishpole bamboo, Golden bamboo. 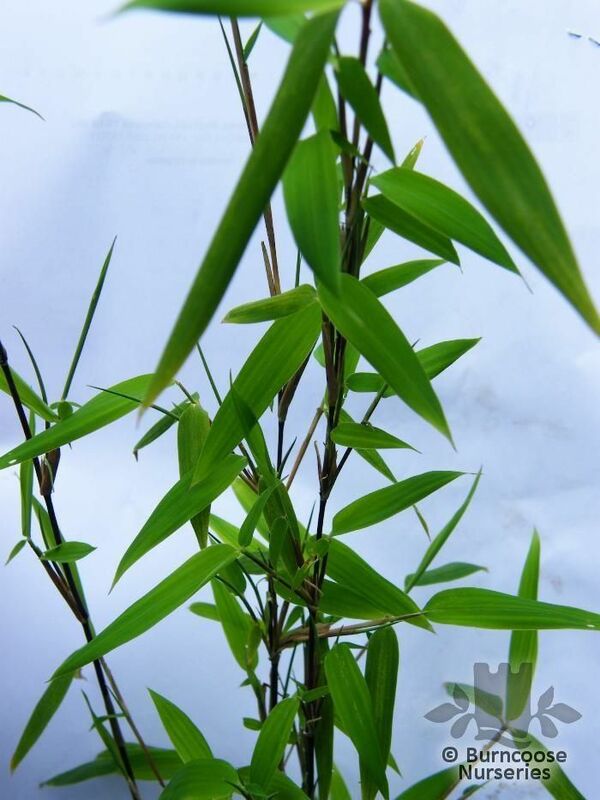 Commonly known as: Crookstem bamboo, Yellow-groove bamboo.. 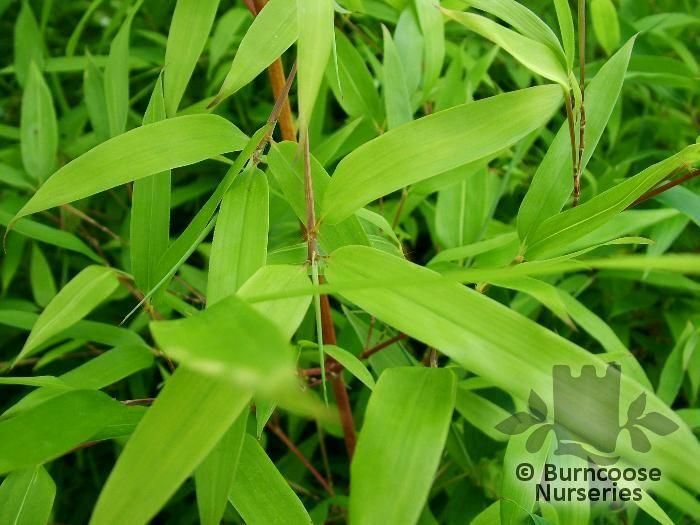 Commonly known as: Crookstem bamboo. 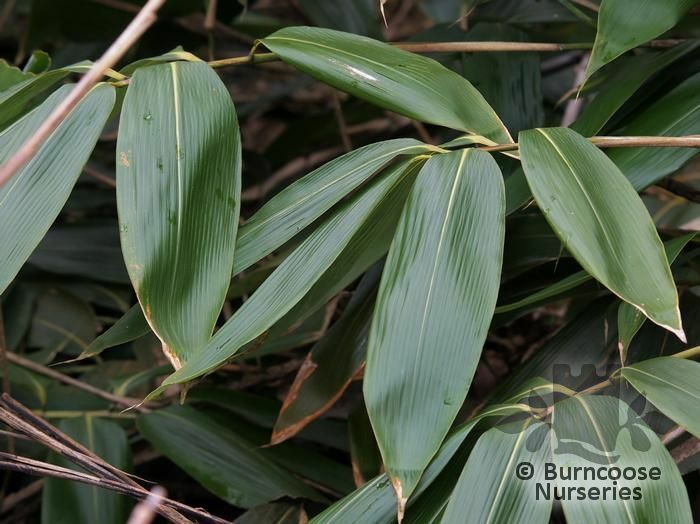 Commonly known as: David Bisset bamboo. 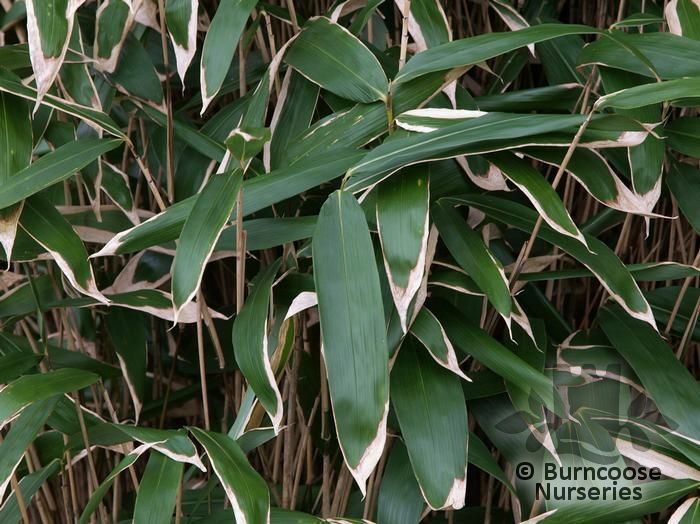 Commonly known as: Zigzag bamboo. 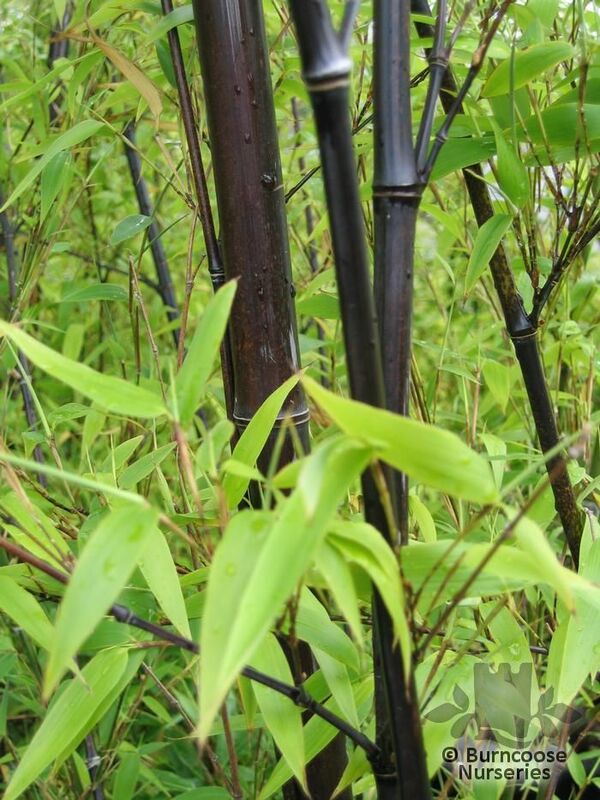 Commonly known as: Black bamboo. 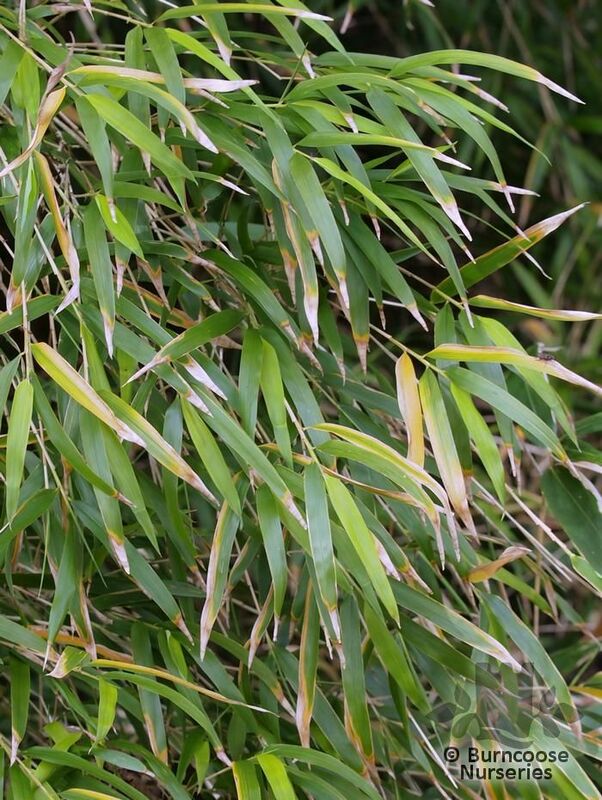 Commonly known as: Arrow bamboo. 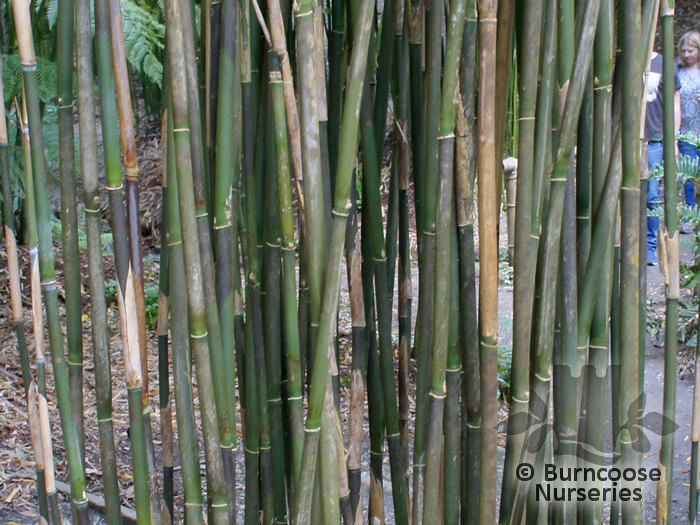 Commonly known as: Anceps bamboo.